The Labour and Delivery Suite is the heart of our hospital. We have gained a reputation over many decades for our personalized, protocol based obstetric care and for our low Caesarian Section rate. 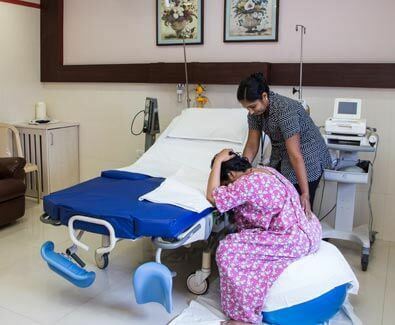 We have individual delivery rooms ensuring privacy. The labour and delivery suite includes an operation theatre for emergency C-sections. The hospital has the best available maternal and fetal monitoring equipment which includes fetal scalp electrode and fetal scalp blood sampling.